On Tuesday, former Maryland governor and Democratic presidential hopeful Martin O'Malley pledged to use "executive action" to promote stricter gun control laws if he is elected in 2016. The plan, outlined in a press release from O'Malley's campaign, was unveiled in full Tuesday evening at a campaign event for O'Malley in Keene, New Hampshire. Gun control is a hot-button issue this election cycle. So how does O'Malley's gun control proposal compare with those of other Democratic candidates'? His plan centers around his criticism of a 2005 law which allows immunity for gun manufacturers. That puts his it closer to former secretary of state Hillary Clinton's plan than it does to Vermont Sen. Bernie Sanders' statements on gun control. After the recent shooting at Umpqua Community College in Roseburg, Oregon, which marked the 45th school shooting in the United States this year, gun control is a more relevant issue than ever. The Democratic presidential candidates seem to agree that such tragedies need to stop, but whether they agree on how best to implement gun control policies is another story. 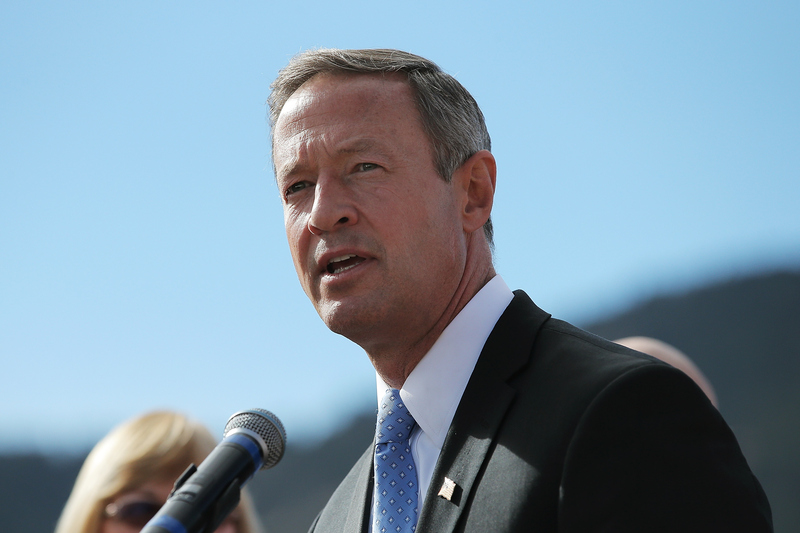 O'Malley's proposal includes seven executive actions he'd take if elected. One of those actions would be to "stop defending gun dealer immunity provided by the Protection of Lawful Commerce in Arms Act (PLCAA) and instead work to overturn it." The PLCAA is the 2005 law that gives liability lawsuit immunity to gun dealers, and O'Malley, like Clinton, wants to put a stop to it once and for all. According to O'Malley's campaign, he believes that the law is unconstitutional. Another interesting executive action O'Malley includes in the list is mandating responsible storage for guns within the home. His press release notes that at least once a week, a toddler in the United States shoots themselves or someone else, and O'Malley is committed to gun safety beyond background checks. Clinton's campaign unveiled a television ad Tuesday emphasizing her strong stance on stricter gun control laws. "We need to close the loopholes and support universal background checks," Clinton says in the ad. "How many people need to die before we actually act?" In addition to supporting strict background checks, Clinton, like O'Malley, wants gun manufacturers and retailers to be held accountable in liability lawsuits. Clinton has also criticized Sanders during the campaign season, saying the senator isn't tough enough on guns. And while the new ad doesn't name Sanders specifically, it's not hard to imagine that he's whom it's intended to criticize, since the video calls for stronger background checks. Sanders has a "mixed record" on stricter background checks, The Washington Post notes, and he's also voted to defend gun retailers and manufacturers from liability lawsuits. Sanders has said that the United States needs to enforce "sensible" gun control laws, but he supported the PLCAA in 2005, and has since defended that vote. Sanders has also voted against the 1993 Brady Bill, which called for background checks on gun purchases. Sanders has also said, though, that he supports closing the gun show loophole, which allows people to purchase guns at gun shows without background checks, and he's also expressed support for instant background checks. Though Sanders tweeted in October that "we need sensible gun-control legislation," he'll need to show Democratic voters that he's as passionate about this as Clinton and O'Malley. The issue of liability lawsuits came up during the Democratic debate, and it's sure to be discussed again before the election season is over. While O'Malley's gun control ideas might seem similar to Clinton's, his campaign claims that he has "the toughest record on gun safety of anyone in the race." O'Malley supported a ban on assault weapons during his time as mayor of Baltimore, and he enacted a series of strict gun control laws while he was governor of Maryland. He banned assault rifles and high-capacity magazines from the state, and he enacted stricter rules on background checks. While much of the 2016 discussion about the Democratic presidential candidates has focused on Clinton and Sanders, O'Malley's well-structured gun control plan shows that he's definitely a candidate to watch, too.